First Outer Hebrides Trip – a windy camping affair. May 2011. Hebrides 2013 Day 1. Aird Feinis. Hebrides 2013 Day 2. Sron Ulladal and Tiorga. Hebrides 2013 Day 3. Loch Crabhadail. Hebrides 2013 Day 4. Ceapabhal. Hebrides 2013 Day 5. Beinn Mhor. Hebrides Day 6. Sheabhal and a Vatersay GoML. Hebrides 2013 Day 7. Bruarnis and the return ferry. Todun and Sgaoth Aird. August 2014. An Cliseam – repetition pays off. August 2014. Boats, gannets and an abandoned village. August 2014. Beinn Dubh – number one target. August 2014. Griomabhal – the Harris end of Lewis. May 2015. Leac Easgadail – fine off-list walking. May 2015. Roineabhal – the Southern tip of Harris. May 2015. Hecla from Loch Sgioport. May 2015. Beinn Sciathan – short and sweet. May 2015. Huiseabhal Mor, Crabhadail and Traigh Mheilein. August 2015. A circuit of Gleann Horsa-cleit. August 2015. Hebrides Day 2 – Suaineabhal followed by a Huisinis camp. June 2016. Hebrides Day 3 – Return to Tiorga Mor. June 2016. Hebrides Day 4 – Beinn Dubh and Luskentyre. June 2016. 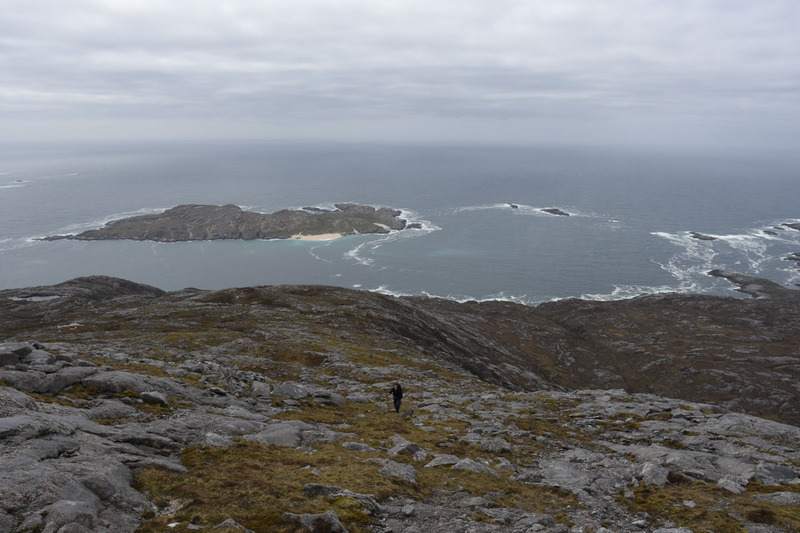 Hebrides Day 5 – Rubh an Teampuill and Huiseabhal Beag Camp. June 2016. An Cliseam – the circumnavigation of Gleann Sgaladail. August 2016.